This has to be one of the most unusual third-party items ever released for a Nintendo product. Makes sense because Nintendo Labo is hardly typical. As Bakulog points out, this is Cardboard Coating Spray, which coats cardboard from hand sweat, oil and grime. 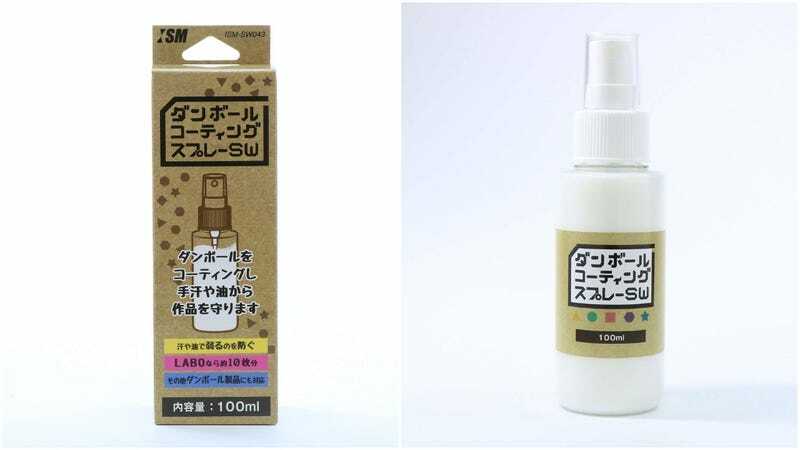 Priced at 1,706 yen ($15.30), there is apparently enough spray for ten pieces worth of Labo cardboard.